Kibana is a nice tool for quickly creating real-time dashboards from Elasticsearch data. But, what if your managers, business users and other stakeholders need reports delivered to them periodically, e.g., weekly status report on business/technical metrics? Wouldn’t it be great to send the right information to the right people at the right time automatically instead of asking them to check the dashboard periodically? 1. Use a BI report scheduling tool that has a plug-in for Elasticsearch and build the reports from scratch –> For most customers, this is not practical approach for two reasons: 1. You need to recreate the reports from scratch and maintain them in two systems (Kibana and the BI platform). 2. BI platforms are large deployments requiring dedicated resources. So, unless you already have a BI platform that works with Kibana / Elasticsearch, this approach is an expensive affair. 2. Build your own custom report scheduler combining a bunch of tools –> This is a mammoth effort. Scheduling and generating consistent reports from Kibana and Elasticsearch is a very complex technical exercise which requires deep expertise on several fronts (UI engineering, Kibana, Elasticsearch, Back end scheduler expertise, systems expertise to handle Kibana/Elasticsearch configurations etc). Plus, you need to allocate dedicated resources to keep pace with the frequent changes in Elasticsearch/Kibana. For most organizations, both #1 and #2 are not viable options. They can neither afford a new BI reporting platform nor divert their scarce engineering resources to build and manage this software. 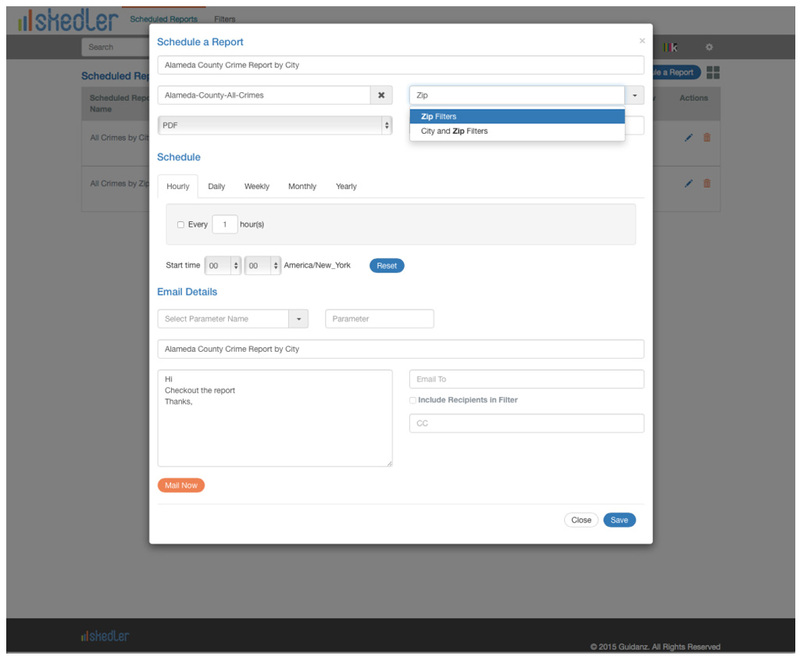 Skedler is a powerful report scheduling solution that allows organizations to schedule, generate, and distribute Kibana dashboards periodically to various stakeholders. It is simple to install and is designed to work seamlessly with your existing Kibana/Elasticsearch installation. Skedler enables organizations to create PDF and PNG snapshots (more format to come soon) quickly using Kibana dashboards. It provides the flexibility and features to ensure that reports are sent to the right people when they need them through centralized scheduling and distribution. With Report Scheduler, Kibana can serve as a single system for both interactive analysis and reporting, eliminating redundant systems and saving significant costs. Skedler can be installed and ready to go in just a few seconds. Simply unzip the skedler package in a server, configure your Kibana and Elasticsearch URLs in the config file, start the skedler engine and you are all set to start generating reports. Skedler automatically discovers the dashboards in your Kibana server and makes them available for scheduling. Skedler generates high resolution PDF reports from your Kibana dashboards and auto-optimizes the report regardless of how your Kibana dashboard is set up. You can also customize the resolution of the reports as needed to suit your requirements. Check out the Sample high resolution Skedler generated PDF report. 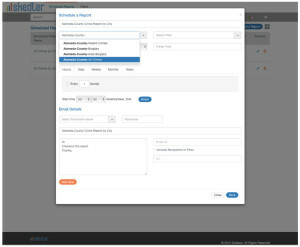 What if you want to generate customer specific reports from a single dashboard and email the reports to targeted email recipients or save them in custom folders? Skedler has a solution for that. 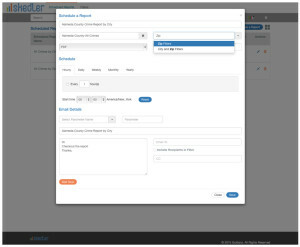 You can create filters, filter specific recipients, and filter specific file folders in Skedler and use them while scheduling reports. 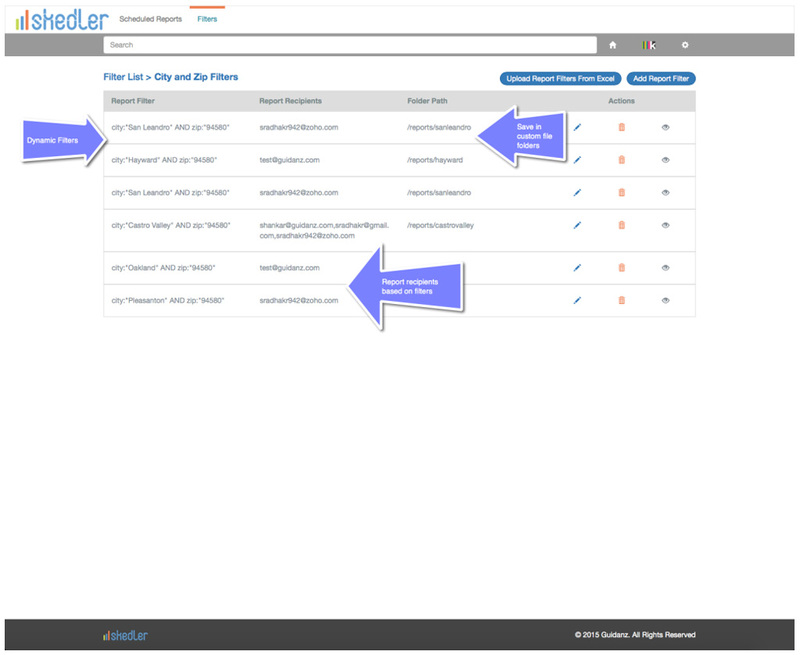 Skedler will automatically apply the filters on the fly to dashboards, generate reports, and email/preserve the reports as defined. Report Scheduler allows you to drive both analysis and reporting from the Kibana platform, eliminating the need for redundant reporting systems. Skedler is a powerful solution that will allow you to add report scheduling capability to your Kibana-Elasticsearch system within a few minutes. See a live demo of the Skedler solution and get set up for a 30 day free test drive. Request a live demo and test drive today.